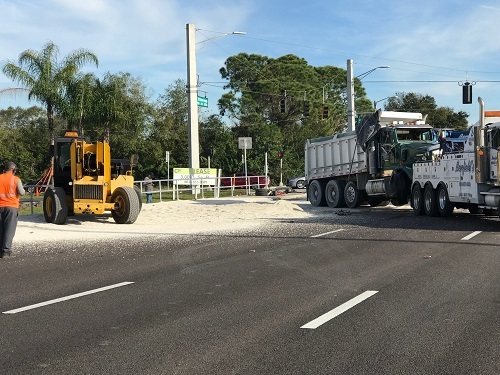 A dump truck overturned, spilling several tons of granite, FHP troopers said. 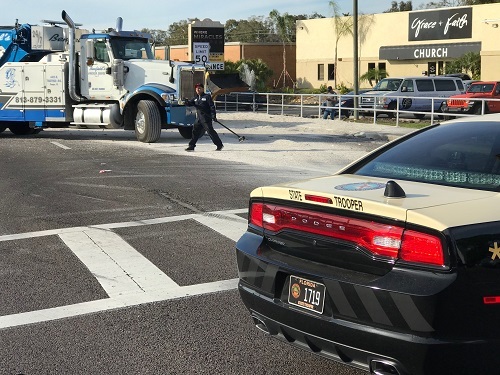 HILLSBOROUGH COUNTY – A collision between a dump truck and a van closed W Hillsborough Avenue for several hours Friday, according to the Florida Highway Patrol. The drivers, Daniel Thomas Harsh, 71, and Jose Siere Aguilera, 42, both of Tampa, were taken to St. Joseph’s Hospital with minor injuries. Troopers cited Harsh for an improper turn. 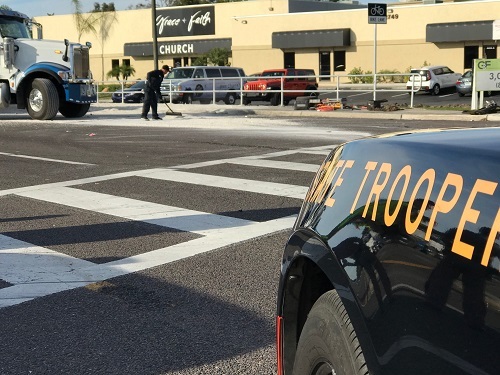 The crash happened about 2 p.m. at the intersection of W Hillsborough Avenue and Double Branch Road in Hillsborough County. Troopers said Harsh was driving a 2001 Chevrolet van east on W Hillsborough approaching the intersection of Double Branch, which had a flashing left turn arrow. The van tried to turn left onto Double Branch, which took it into the path of the 2007 Kenworth dump truck that Aguilera was driving west on Hillsborough. The van collided with the dump truck, which overturned and spilled several tons of granite onto the roadway. The spill closed W Hillsborough for several hours while officials cleared the debris.